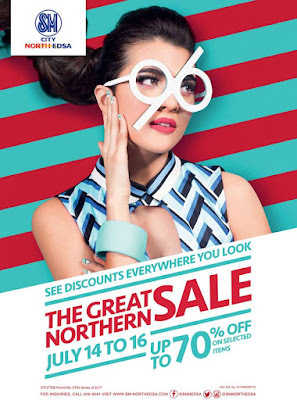 Don't miss SM City North EDSA's The Great Northern Sale happening this July 14-16, 2017! 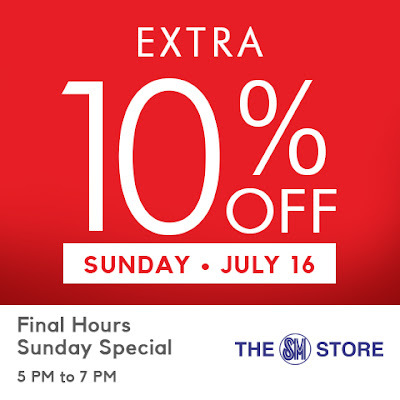 Be thrilled with fashion, tech and even dining deals - and up to 70% off on great selections from participating stores mallwide! 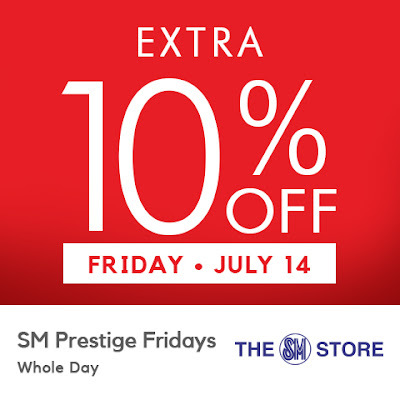 SM Prestige and BDO Rewards members get extra 10% OFF during SM Prestige Fridays on Friday, July 14, 2017 when you shop at The SM Store and select SM Retail partners. SM Advantage, SM Prestige, and BDO Rewards cardholder get extra 10% OFF during the Final Hours Special on Sunday, July 16, 2017, from 5pm to 7pm when you shop at The SM Store.